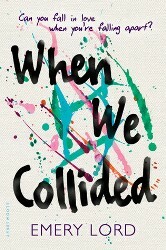 There is simply no way I can talk about favorite new authors without mentioning this author and her work. I don’t know why I have started reading her books before 2016, but what I do know is that V.E. Schwab is now one of my all time favorite authors. Everything she writes is simply brilliant!! A Darker Shade Of Magic is still my absolute favorite, with This Savage Song coming in a close second. But both A Gathering Of Shadows and Vicious were excellent reads as well. I will be looking forward to the sequels that will be published in 2017! Although this Swedish author has been publishing books for years, I’ve only recently found out about his work. Fredrik Backman has been all over the book blog community lately, and his work is worth all the hype around it. 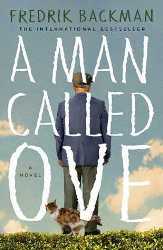 I read A Man Called Ove last month and completely fell in love with both the character, the prose and the humor used. Not many authors can make me laugh and cry with the same story, and he is without doubt one of my favorite new discoveries this year. I was vaguely aware of this author and his Wayward Pines series, but with so many other pending series I never actually bought a copy of the first book. But then earlier this year suddenly Dark Matter was literally EVERYWHERE. I admit I don’t read a lot of science fiction; not because I don’t like the genre, but there are other genres I simply like better. 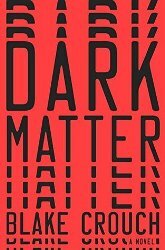 But it was really hard to ignore this book after so many recommendations, and Dark Matter is definitely one of those books that is actually worth the hype. It was simply BRILLIANT. I requested a Netgalley copy of The Girl From The Sea a few months back, and it turned out to be one of the best psychological thrillers I was able to read this year. 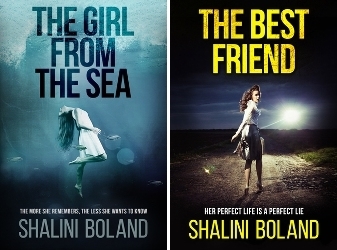 Shalini Boland instantly made it to my new favorite authors list, so I was more than honored when she contacted me with the question if I wanted to read/review her newest book The Best Friend as well. it turned out to be yet another excellent psychological thriller, and I will definitely be looking forward to any new thriller titles. 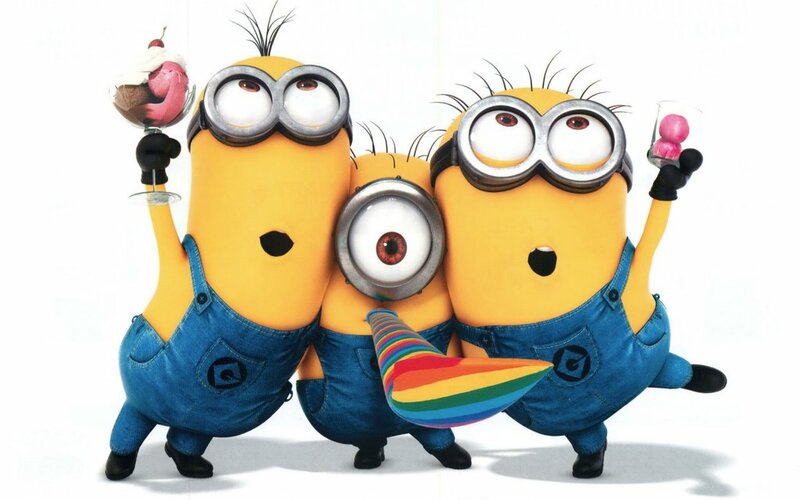 Did I mention already how happy I am that I finally signed up for Netgalley this year?! 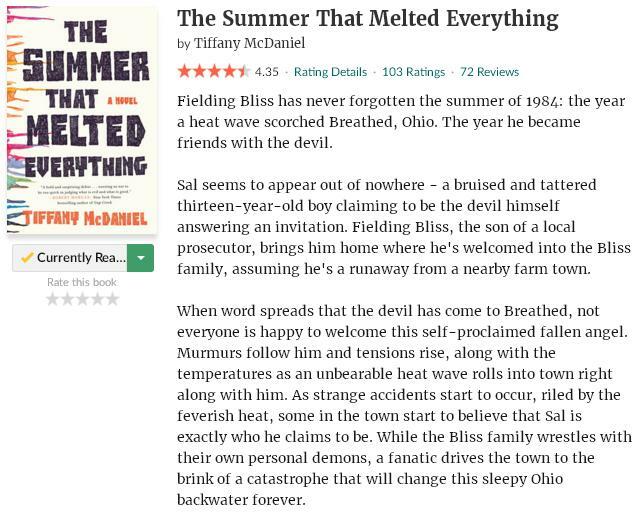 TIffany McDaniel is yet another Netgalley find, and it’s without doubt one of the most interesting and well written stories I’ve read this year. 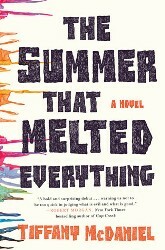 The Summer That Melted Everything is the author’s debut novel, and what a brilliant way to start! I’m sure I’ve mentioned before the mystery/thriller genre is one of my favorites, and the books in DCI Erika Foster series always seem to deliver. 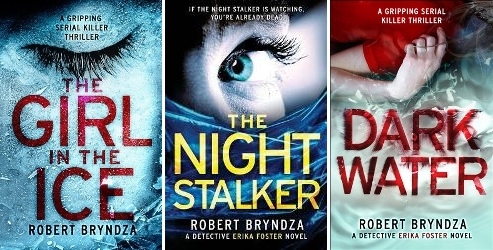 And to be honest, I’m in awe with the pace Robert Bryndza is able to write and publish so many quality thrillers! 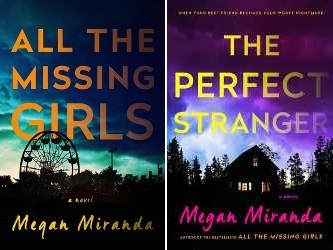 The Girl In The Ice, The Night Stalker and Dark Water have all been published in 2016, and although the second book is my absolute favorite, I highly enjoyed all three of them. I will be looking forward to the next book of the series! 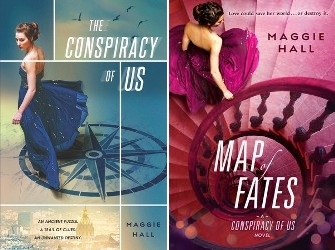 To be honest, I wasn’t to sure if this series was going to be for me…But besides the romance scenes I didn’t particularly care for, The Conspiracy Of Us is basically an example of what I would call a perfect read. A fast pace, easy-to-read prose, an interesting plot with just the right amount of plot twists, an international atmosphere, characters I can connect to… Check. Check. CHECK! I loved the first book so much I decided to read the sequel Map Of Fates straight away and trust me, that doesn’t happen often. The third book is one of my most anticipated 2017 releases… And Maggie Hall one of my new favorite authors. I saw this book around a lot last year, but was afraid to read it because I thought it was going to be another sappy romance novel. I couldn’t have been more wrong. 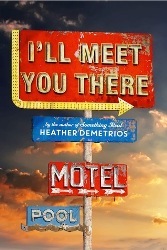 Heather Demetrios has made it to my new favorite author list with I’ll Meet You There, a well written story full of raw and honest emotions, flawed characters you cannot help but fall in love with and just the right dose of romance. I practically flew through this book and it’s without one of my favorite reads so far this year. I always seem to be complaining about romance scenes I didn’t like, but there are authors that can make me forget I don’t actually like the genre all that much. Julie Buxbaum turned out to be one of them. 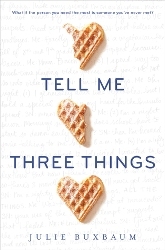 Sure, Tell Me Three Things is in fact quite cheesy and even has the dreaded love triangle, but I fell in love with the story anyway. It’s the perfect ‘feel-good’ read and very very addicting. I can’t believe how hard it was to narrow it down to just ten authors! I guess it’s a great sign I was able to read a LOT of excellent books this year though. 😉 Have you read any of these books? And what are your favorite new authors this year?